Twenty years of history branded Christian Laettner as the most polarizing figure college basketball history; you loved or hated him. With the release of ESPN’s critically acclaimed 30 For 30 “I Hate Christian Laettner” sports fans were reintroduced to Christian Laettner. He was not just a 21 year old kid who hit a buzzer beater, stomped on a competitor when he was down and subsequently won another National championship. He needed to be seen for and portrayed as what his teammates, coach and opponents already knew, the ultimate competitor. SMC crafted a social media campaign strategy and activation to refurbish Laettner’s personal brand. Christian’s vile reputation had existed for decades and he had never combated it in any way. Neither had he used social media due to what he presumed would be more of the “hating” that he was weary of. SMC needed to launch Christian on social media in a big way and orchestrate it to dramatically change perception while his college team and arch rival, Kentucky were competing for the coveted national title. SMC needed to teach Christian how to use social media within days and cultivate and extend his new brand image during the film’s premiere. Then we needed to extend the positive exposure throughout March Madness integrating it with innovative social media and offline events. Since this was the time of year that Christian was most in-demand by sponsors and advertisers we also needed to integrate it all with a national AT&T ad campaign and sponsorship appearances at the Final Four. Create and amplify the new Laettner brand – an ultra-competitive team leader who won’t allow fear to paralyze action. Humanizing Laettner (the mythical “Villain”) SMC had to prominently portray him as the embodiment of hustle and passion. Aware that confidence can be interpreted as arrogance, the brand needed to minimize talking about Christian the winner, and maximize discussion about Christian the man with the hustle and heart of an ultimate competitor. It was vital to build off the Laettner basketball appeal as the core of his brand, yet extend well beyond the hardwood. 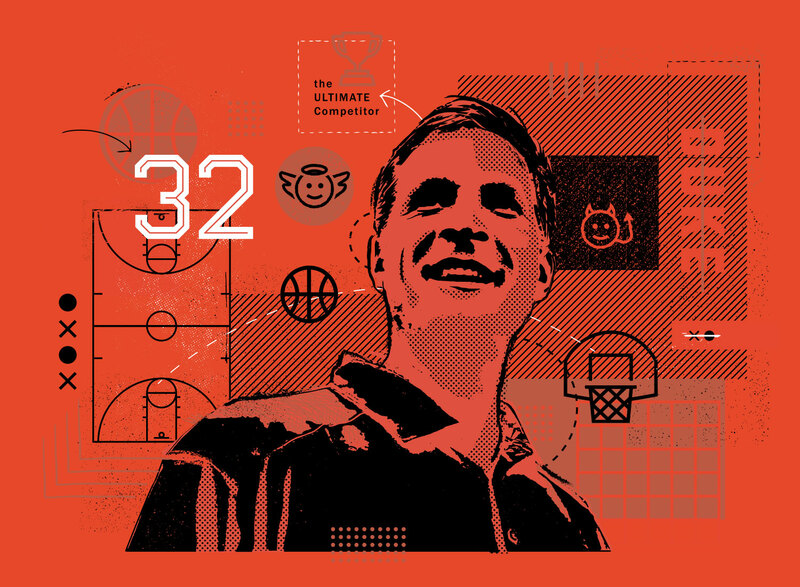 If the ultra-competitor with hustle and heart was to take hold as the primary Laettner brand, it required integration within all marketing, business endeavors, traditional and social media. We needed to be explicit about how Christian’s competitive drive on the court relate to other parts of his life and how those insights can apply to his relationship with fans and sponsors. Ultimately, we needed to showcase how competitiveness is the blood in his veins and how people of all ages and the organizations can benefit by artfully applying ultra-competitiveness in their lives. For the first time, Christian aggressively promoted his “new brand” via social media, integrated on and offline, with the guidance and help of SMC. His live tweeting during the broadcast premiere of the 30 for 30 program “I Hate Christian Laettner” went viral, as SMC enlisted the support of Twitter Sports, CBS Sports, ESPN official accounts. We also incorporated a celebrity influencer campaign designed to show, in a timely sensitive manner, the respect that others had for the Laettner–including, among others, ESPN’s Jay Bilas, Duke basketball, and Bobby Hurley. At the core of success with fans, and a shock to all, was Christian’s Twitter-embedded video apology to the Kentucky player for “the stomp.” It was the 1st time that Christian apologized, after 23 years, and it was timed to go live immediately after the dramatic scene in the film. According to VP and Executive Producer ESPN Films and Original Content, John Dahl, “Our most “social” moment of 2015 was the extraordinary response to “I Hate Christian Laettner.” When the film debuted, the audience responded on a variety of social platforms. It helped contribute to a combined viewership of the film of nearly 17 million within three weeks. Laettner’s live-tweeting throughout the premiere helped to boost the film to fourth in Nielsen’s Twitter TV ratings for the week. As one prominent sports media personality put it: he had never seen as dramatic a reputation turn-around in so short a time frame.